Hilton Christian Fellowship meets on Sunday mornings at 9.00am and Sunday evenings at 6.00pm. Here’s a little bit of our background just in case you were wondering. 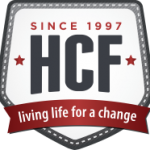 HCF started in March 1997, when a bunch of friends got together and decided that church should be a fun experience! We’ve got one life, and it should be enjoyed. We believe that following Jesus can and should be a huge amount of fun. We steadily grew in numbers and had to move from the Hilton Community Hall to Laddsworth School. We grew some more and moved to Grace College. 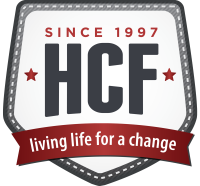 During this time we started a building project and finally moved into our current facility in March 2015, exactly 18 years after HCF begun. We enjoy a meaningful partnership with New Covenant Ministries International, which keeps us linked to hundreds of churches around the world and to the bigger picture of what God is doing globally. Our dream is to see our community, nation and the world touched and changed by the love of Christ. We do this with passion and enthusiasm as we follow Him. We believe that God gives gifts to the body, and that’s how our church functions. We don’t subscribe to an organisational hierarchy and our structure therefore is simple and uncomplicated. Our relationships are the glue that holds us together and creates a fun, informal atmosphere that attracts unbelievers. It has been said that our modern society “loves things and uses people”. We rather try to “love people and use things”.